Forget the world outside and discover serenity amid 5-star luxury. 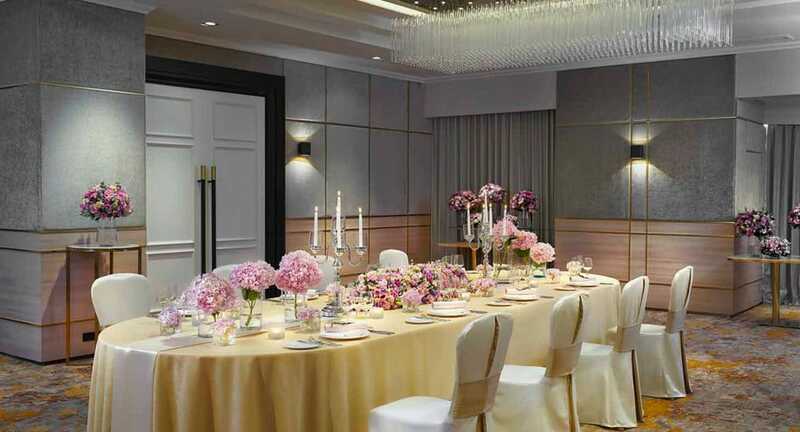 Anantara Sathorn offers extraordinary settings for the wedding of your dreams. Host a traditional Thai engagement ceremony against a backdrop of skyline. Celebrate afterwards with a banquet by the pool. Dazzle with an evening reception of ballroom dancing and Champagne toasts. A dedicated wedding planner is on hand to take care of all the details, from the themed decor of your desired wedding venue in Bangkok and catering to accommodation for out-of-town guests. The Skylight Room offers unrivalled views of the city, elegantly framed and serving as the perfect backdrop for your vows. Dance the night away in the grand ballroom, or host a decadent banquet. Both indoor and outdoor spaces are ideal for guests to mingle over cocktails. The area is particularly magical lit up at night. The most spectacular of settings. Exchange vows at sunset, then host a Champagne reception under the stars.